Second citizenship or dual citizenship is refers to a person who is a citizen of more than one country. This person can be protected by the laws of any of its countries. An individual can become a citizen of a country by birth, marriage, descent or naturalization and of late through economic citizenship programs. The citizenship requirements differ from one country to the next. There are some countries which allow dual or second citizenship and other who do not. Most countries in the world regard individuals born within their territory as citizens of that country. Another category for becoming a citizen is by descent this means that an individual born in one country can apply for second citizenship of the country of his parents (for example someone born outside of Canada can apply for Canadian citizenship if one or both of his parents are Canadian citizens. In some countries marrying a citizen automatically offers second citizenship to the spouse. Sometimes, a citizen applicant (through marriage) must wait a period of time before application for second citizenship can be made. The time frame for making such application in Dominica for example is three years (3) after marriage. A non-citizen who has resided and worked in a country can apply for permanent residency or citizenship after a certain period of time. The length of time which qualifies individuals to apply for citizenship depends on the laws of the country. Second citizenship through economic investment has been permitted in Dominica since 1993. This permits persons who cannot gain citizenship of Dominica through birth, descent or marriage to apply for dual citizenship by a financial contribution to the country. The legitimate Dominica Economic Citizenship Program has various options for gaining citizenship. A single person who is desirous of gaining Dominica citizenship makes an investment of US$100,000. A family (Applicant and Spouse) is required to invest US$175,000. A family of four (Applicant, Spouse and Two Children below 18) makes an investment of US$200,000. Additional provisions are in place for families with more than two children and range from the ages of 18 to 25 years of age. There are also application fees, stamp fees, due diligence and processing fees to be paid. The St Kitts citizenship by investment program began in 1984 and has two options; the real estate investment option and the Sugar Industry Diversification Foundation (SIDF) option. The real estate option involves buying real estate property or investing in a real estate projected sanctioned by the government. The minimal non refundable contribution for the real estate option is US$400,000. Due diligence and processing fees are not included in the contribution and are paid separately. The SIDF options has further categories which enables a single applicant and applicants with up to six or more dependents to become second citizens of St Kitts. The SIDF contributions start at US$250,000 and go up to US$450,000. This fee dies not include due diligence or processing. Becoming a second citizen of any countries have its advantages. Knowing that a person is protected by the law of more than one country can add a sense of security. 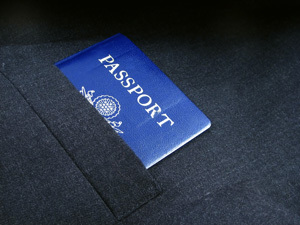 Second citizenship can make travelling much easy as the need to apply for travel visas may decrease.